If anyone knows whether "there's an app for that," it's older men who happen to live in eastern Europe or North Dakota. That is just one of the findings in a study being presented this week at the International Conference on Web Search and Data Mining in Cambridge, England by researchers from USC. 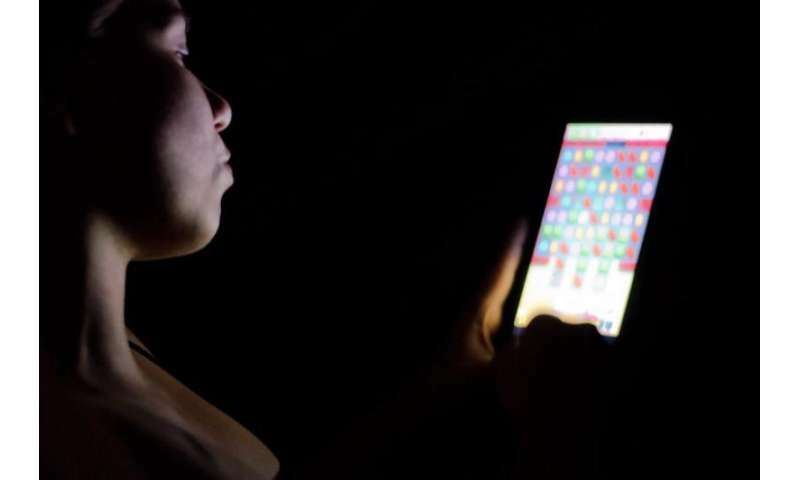 As part of research into human behavior modeling, the team at the Information Sciences Institute at the USC Viterbi School of Engineering found that an overwhelming number of Apple's App Store purchases are driven by a small fraction of users who are making in-app purchases on their iPhones and iPads for more lives in Candy Crush Saga or virtual coins in Clash of Clans. Of all mobile purchases studied by the researchers, in-app purchases accounted for 61 percent of all money spent on mobile purchases, followed by music (23 percent). The top 1 percent of spenders accounted for 59 percent of all money spent on these types of in-app purchases, with spending patterns repeated across downloads and in-app purchases. 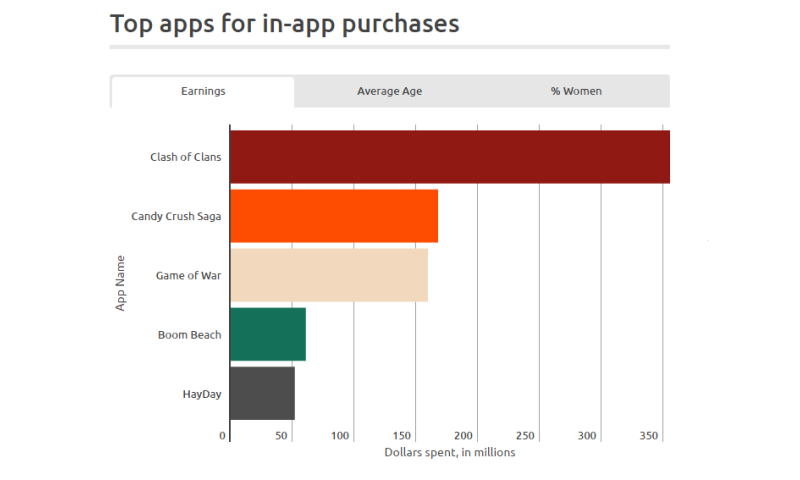 The most popular apps in the App Store, based on spending, were games: Clash of Clans, Candy Crush Saga, Game of War, Boom Beach and Hay Day. The researchers found that men spent more on sports-related apps, while women spent more on puzzle games and education apps. The revenue of apps was equally lopsided. Seventy percent of the money spent by men went to Clash of Clans, while women overwhelmingly chose to spend money on Candy Crush Saga. "It is very, very difficult to make money as an app designer. App-making is a gold mine, but for the very few," said Kristina Lerman, senior author and a project leader at the Information Sciences Institute. "Targeting that 1 percent of big spenders is not easy using broadcast media, but requires personalized data mining." Who are these big spenders? They skew older and more male than the typical iPhone user, spread out across places like North Dakota, Norway, Belgium, Greece and eastern Europe. The researchers found significant differences in spending between younger and older users, with younger users preferring photo, games and social networking apps, and older users spending more on food, weather, travel and business apps. Researchers also used artificial intelligence to predict the purchases people will make from different apps. Such predictions could be used for target advertisements to people who are more likely to make a purchase from an app. The study was conducted using an automated pipeline of digital purchase confirmation emails received over 15 months in 2014 and 2015 from 26 million Yahoo Mail users whose identities were kept anonymous.